Now within this post, I intend to highlight the role that performance enhancing drugs have in MMA and sports in general. For some people this will be a new topic, but for anyone who has a deep understanding of the true story of how top level mainstream professional sports operate behind closed doors, this will be common grounds. “Here take one of these, it will help you recover quicker and be stronger” this is a common statement that has been banded around a lot in gyms, training facilities and academies all around the world for a long time, some gyms more so then others, but we will get to that later. So the premise has always been simple – taking drugs to improve your performance to “assist yourself” to defeat your opponent with more ease, in a desperate attempt to shortcut your way to victory. Humans inherently are competitive creatures, its how we are wired, and when it comes to the most dangerous combat situations, humans often will find anyway they can to get an edge on their opponent. There is absolutely no doubt that according to the evidence, The UFC has been fully aware of the abuse of PEDs in MMA since the company began, yet they have turned a blind eye to it repeatedly from day one, and have even historically supported it in certain scenarios for certain people. Bisping has repeatedly through the years of his MMA career, spoken about the abuse of PEDs in MMA, and has openly accused many of his opponents, such as Dan Henderson, Anderson Silva, Vitor Belfort and Yoel Romero for instance, each of whom have failed drugs tests since drug testing systems have began to improve in MMA in recent years. Just recently veteran heavyweight Mark Hunt, is in the process of suing the UFC and his opponent Brock Lesnar – the reason being is that Brock Lesnar failed two drugs test leading up to the fight, and Hunt claims that the UFC knew about this, but still let the match happen because of the money the fight would make the company. On July 1, 2015, the UFC Anti-Doping Program was implemented, which is ran by the U.S. Anti Doping Agency known as “USADA” with the apparent intention of protecting the rights of all clean athletes in the UFC. So USADA has been charged with managing the UFC anti-doping program, which includes in-competition/out-of competition testing, results management processes, drug reference resources, and athlete education. Things have improved without question in this new “USADA era” with more MMA fighters being routinely caught using PEDs in and out of competition. Go back 10 years in the sport and nobody was even discussing PEDs to any degree in any mainstream MMA outlets. But now as everyone’s education has grown, many of peoples childhood heroes of MMA, have had their names dragged through the mud as the reality of their drug abuse in their careers comes to light in a hail of fines and suspensions. With that being said though, as the Brock Lesnar vs Mark Hunt situation proved, the UFC are still more then willing to allow drug abuse to happen if it benefits them financially, regardless of anything USADA says. 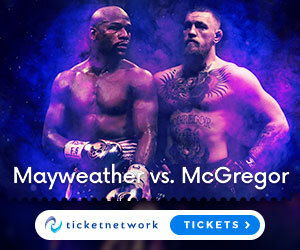 Also according to statements from UFC legends like Lyoto Machida, Anderson Silva, Jon Jones and others, many have alleged that the UFC will sometimes falsify someones test results in certain cases, in order to drag the name of certain fighters through the mud that have offended some of the owners in someway through the years. Food for thought without question, and as martial artists and fans of the sport of MMA, it is our responsibility to make sure that we do all that we can to remove drug abuse from the sport for good – however considering how much drug abuse has been claimed to be rife in many of the major sports, it seems that for a very young sport like MMA, it may take a while to get to more definitive actions to be taken. The UFC has always been open about the fact that they are sanctioned by the government, that they support the military and vice versa, that celebrities love UFC (which since WME bought the UFC for $4 billion makes sense), and that they like to keep the interests of the owners financially as a focal point. This is the companies way of as openly as possible telling the public directly that “we are run by the Illuminati” in similar ways to the WWE (World Wrestling Entertainment), which for some of you will be easy to see, and for some of you it will be difficult to see. For those of you who don’t know who the Illuminati are, then you can read my blog. Now i had a good understanding of Science growing up because of my grandfather being a scientist, but in recent years some of you may have heard of various stem cell research technologies, cloning technologies, biotechnology, genetic recombination etc. Ok stay with me – so within the Illuminati their has for a longtime been an agenda to change humanity into an androgynous transhumanity, involving genetics and cybernetics, which some secret societies have perceived to be the “next stage of our evolution”. If you are not aware about this, then I suggest you do your own research. This has been shown through many ways by celebrities, who are often used by the Illuminati to convey esoteric messages to the public through their music/films. David Bowie would be a good example of a famous celebrity that always had an androgynous image, as well as speaking about aliens, genetics, the occult, and all kinds of esoteric matters in his work. Now just recently you may have seen Ronda Rousey losing to Amanda Nunes – Nunes who is the first ever openly gay champion in UFC history. Even at the weigh ins before the fight, Amanda Nunes wore a Lion mask as an almost symbolic representation of what I’m saying – Do not be surprised to see a transgender division in the future. So the UFC was created to be a literal testing ground to see what the best martial art is, then it can be argued that over time it changed into a mixture of that and drug abuse, as more super soldier military elements began to envelope the UFC. Then it can be said that the usage of different technologies to affect certain fighters before contests has been occurring, and now as many of the drug enhancement systems seemingly begin to be brought to an end – the next phase of the UFC, is the same as societies, which is becoming more about who has the best genetics to succeed. Because listen if a particular fighter has 5% spider genes (or any other species genes) and 95% human genes in thier DNA make up for example, then this fighter while still looking mostly human will likely have capabilities that an ordinary fighter does not. So from my perspective we may have to get used to saying – that guy/girl looks kind of strange, but is an amazing fighter! Same way that in society we have to get used seeing more gay couples, transgender acceptance, cloning technology, designer babies, genetic recombination, and generally having more work colleagues that look like they just walked off the set of avatar. As I have been mentioning there is a lot of work to do in order to keep MMA as clean a sport as possible, and regardless of any conspiracies I’m speaking about here, just know that it is the responsibility of all of us to make sure that we do everything we can to stand up and make whatever changes we can to keep our sport of MMA, and all sports for that matter as fair a playing field as possible. If you enjoyed reading this post, then please leave some comments below, I always appreciate the engagement, and your comments help me a lot for ideas for future posts here at the MMAGateway. PED’s I believe are everywhere in almost every sport. When people get caught and they snitch on others there has to be some element of truth to it right? It’s nice to see UFC taking some action but it looks like they still have a ways to go looking at the Lesnar & Hunt situtation. The Illuminati part definitely makes you think! Hi Jeremy, yeah i agree the evidence suggests its been rampant in all sports for a longtime, and the amount of athlete statements that corroborate this is a lot at this point. Yeah some improvement is better then none, but its a long road ahead. Well sometimes the Illuminati is worth a mention every now and then, glad its given you food for thought. Hi Stacey, it was Michael Bisping that said that everyone is doing PEDs, but i agree with him that many have been taking PEDs. Yes Brock Lesnar has shown many moments of the “roid rage” that many associate with certain types of steroids, and when you look at the guys physique its hard for many to believe that he achieved that look naturally. Lots of interesting facts, ones I was really sorry to know! Sport should be something pure and honest, cause, after all, there is no reason to compete if the results are to be manipulated somehow, and that’s why once the industry of making money gets adopted within a certain field, it leads to its certain corruption. The conspiracy is there, and it’s for real. Remains to figure out what to do about it, and how to fight for our everyday freedom bro. Great article with noble purposes, thanks. Hi Aydo, thanks for your feedback, good to hear you realise that PEDs have been a massive problem in sports, which has caused many results to manipulated. But as you mention ideally we should have an honourable, honest sport, so lets keep working together to spread the word and do everything we can to make our sports clean.